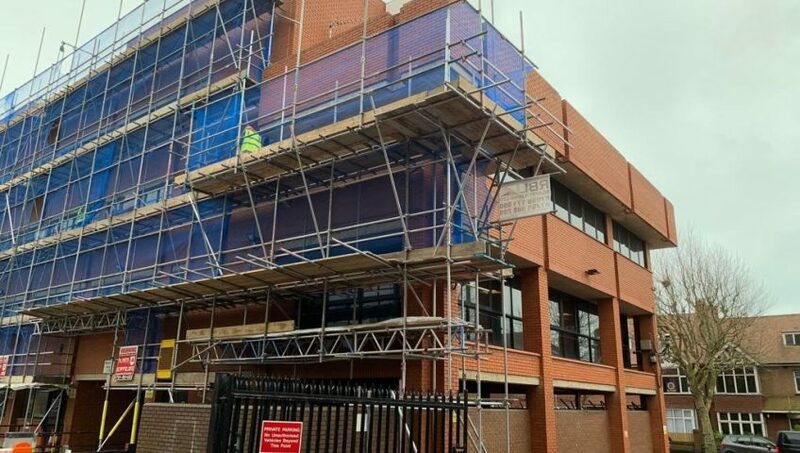 Structural Renovations have secured a 12 week project to remove brick slips from a 5 storey purpose built office block in Hove, known as Preece House. The structure was built in 1980 when the fixing of brick slips (thin sections of brick) was still a relatively popular design feature. This gave the impression of an entirely brick built building, when in fact the slips were adhered, using mortar over the floor plate edges to conceal them, a little like tiling. Over time the mortar used to affix the slips can fail, either through poor preparation at time of construction, or freeze/thaw activity, if moisture has penetrated behind them. This can lead to failure and the slips falling from the building, causing a significant health and safety risk. Following a diagnostic survey earlier in the year it was identified that a significant amount of brick slips had failed or were beginning to fail. At this time the building was made safe by removing all loose slips, to reduce the risk to people or property. 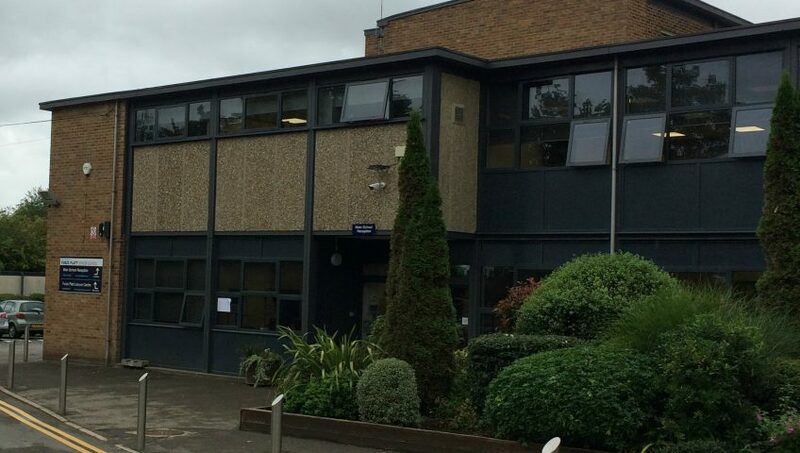 A number of remedial actions were considered and in October the decision was taken to remove all brick slips from the building, thus removing the health and safety risk altogether. The majority of the works is being carried out from scaffolding, which due to the shape of the building is cantilevered in places. Low level areas are being accessed from lightweight aluminium mobile towers. Following the brick slip removal process, the exposed reinforced concrete substrate is surveyed, to identify if repairs are required. These are being carried out using Flexcrete Monomix, as part of their proprietary concrete repair system. Once repaired we are contracted to apply Monolevel FC (fairing mortar), followed by the application of Flexcrete Monodex Ultra (pigmented anti-carbonation coating). Associated works items, such as replacing perished sealants and localised repointing have now also been instructed and it is anticipated that the works will complete in mid-February 2019. In early May Structural Renovations were employed to carry out emergency repairs to the reinforced concrete at Carnival Pool in Wokingham. The leisure complex was constructed in the early 1990’s and following a detailed survey of the undercroft areas of both the main and learner pools it was established that extensive repairs would be required to the supporting beams, soffits, drainage channels and external walls of the pools. 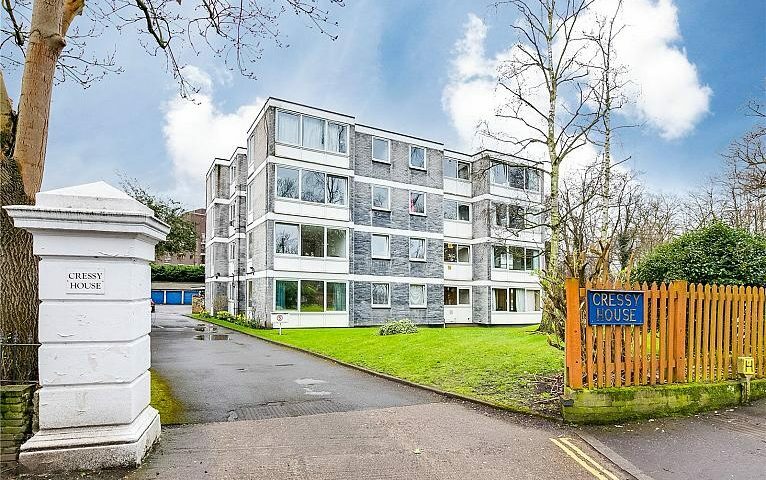 The complex is planned for redevelopment in 2020 but in order to keep it operational until then a repair scheme had to be implemented that would provide the required protection in an aggressive environment. 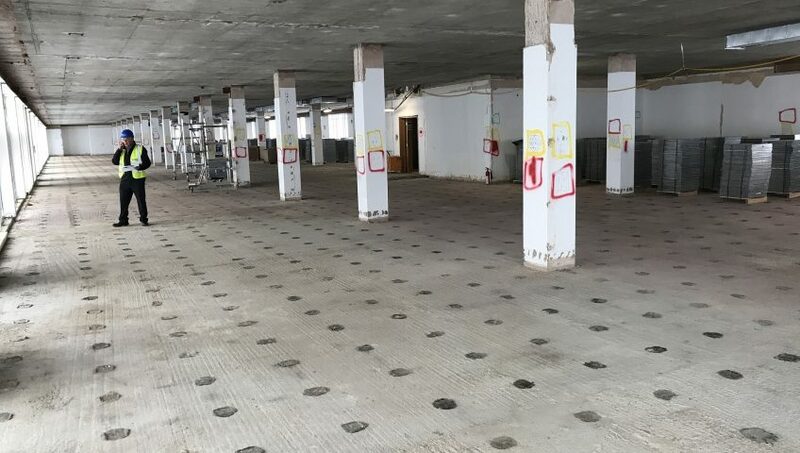 Working closely with the local authorities consulting engineer it was agreed that defective concrete would be removed and any exposed reinforcement treated prior to reinstatement with a polymer modified repair mortar. 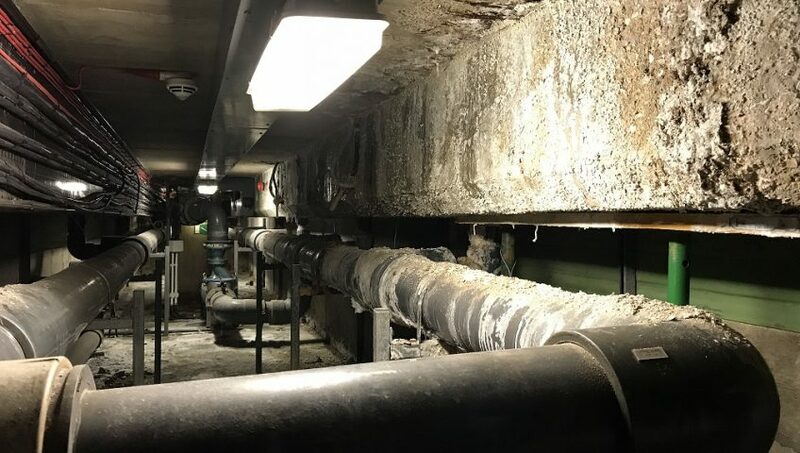 In certain locations where the warm, moist atmosphere, combined with chemical attack was most likely to accelerate the deterioration of the concrete a migrating corrosion inhibitor (MCI) was applied. Additional works instructed included waterproofing the drainage channels, both internally and externally, using a thixotropic modified polymer coating, complete with an embedded elastomeric composite tape. This 6 week project was completed on time and due to careful programming the public parts of the complex were required to be closed for only 2 of those weeks. Structural Renovations have recently completed the 1st phase of structural repairs to a late 1960’s office block in South East London. Edinburgh House is currently being completely redeveloped as part of a £16m project that will provide 6,500m² of space. 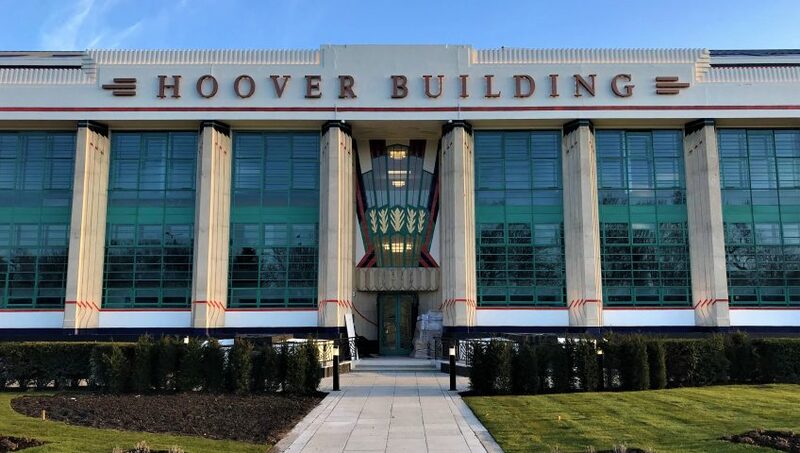 Once complete the building will be used as a flexible working environment for start-ups, through to large organisations, the clients’ ethos being, to provide a community in which people can network and collaborate. Our works have included surveying the concrete slabs, columns and walls, followed by extensive concrete repair. The repairs were completed by both hand and pourable techniques, using Fosroc repair products, where the finish will be left exposed as part of the design scheme. We will remobilise in September for the 2nd phase, which will include major poured repairs to redundant service voids in the ground and lower ground areas.